The last performance of Puerto Vallarta's #1 musical, Little Shop of Horrors, will take Act II Entertainment's Main Stage on Thursday, April 18 at 7:00 pm. 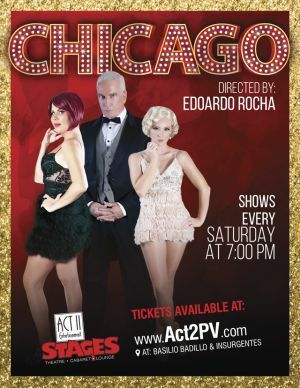 If you haven't yet seen it, get your tickets TODAY at act2pv.com! Puerto Vallarta, Mexico - Act II is THE PLACE to go to see a show when you are in Puerto Vallarta, and its fabulous Spring Entertainment Season is still going strong! 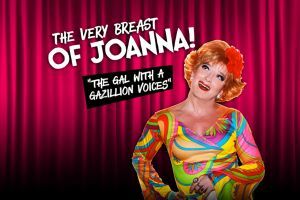 Featuring stage plays, cabaret and drag shows, there is something for everyone at Stages. Here's a look at what's happening this week - and beyond! 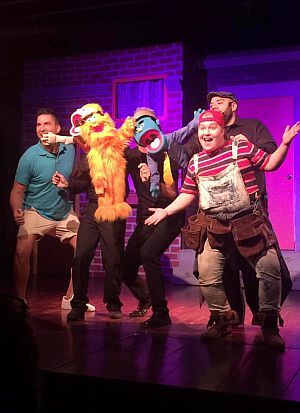 Although two of our most popular Main Stage winter musicals are closing this week, Avenue Q, returns for a three-week run starting on May 6, and there are two new shows opening this month in The Red Room, where some of our most popular 'high' season musical cabaret and drag shows continue through May. Many of these shows sell out, so check the schedule below and get your tickets now so that you don't miss out! Tickets are available today at act2pv.com, and at our box office. One of Off-Broadway's most popular cult musicals, Little Shop of Horrors is the hilarious tale of a down-and-out Skid Row floral assistant, the girl he loved, and a strange new, man-eating plant threatening to tear their world apart. This cult classic was one of the longest-running Off-Broadway shows and has become a household name thanks to a highly successful film version and a fantastic musical score! For the past 30 years, people just can't get the catchy music out of their heads! 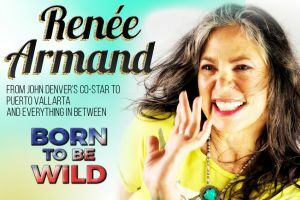 Directed by Alfonso López, the uber-talented director of "Rocky Horror" last year, this beloved horror/comedy/rock/musical is another first-class production at Act II and brings back the sounds and ambiance of the rock 'n' roll era. It stars many of your favorite Act II actors, plus some wonderful new faces, including Maria Rose, Joey Martinez, Alex McLauchlan, Andrew Sands, Shawn Morgan, Eli Estrada, Sasha del Oceano, and Ximena Peña Esparza. It also features the return of Act II Managing Partner, Danny Mininni, to the stage, with his portrayal of the crotchety and hilarious "Mr. Mushnik." 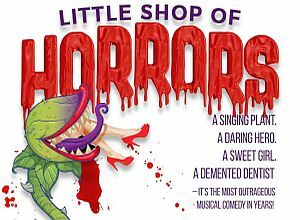 With its delightful cast and toe-tapping music, Little Shop of Horrors is this season's must-see show! Nunsense, A-Men! is a take-off on the 2nd longest-running Off-Broadway smash hit, Nunsense, only second to Little Shop of Horrors. But here in Puerto Vallarta, all of the characters are MALE musical comedy performers! 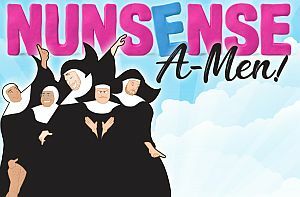 Act II's "sacrilegious" version of "Nunsense" features uproarious horseplay and side-splitting jokes that are performed by some of PV's finest actors, Bert Ramirez, Shawn Morgan, José Jasso, Roberto Gomez, and Al Carswell. Check out their video, #sheNUNigans, to see them parasailing, racing down the Malecon on Segways and experimenting with tequila... All in full habits! The Act II nuns are always up to something new and irreverent! Directed by Alfonso López and choreographed by Steven Retchless, "Nunsense A-Men!" is the kind of show that picks you up and shakes you around and makes you want to dance. What more could you want from a musical than passion and laughter and fun? 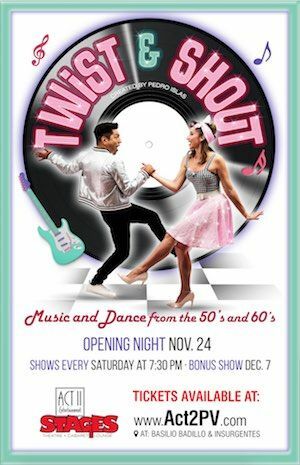 This is a show not to be missed at Act II Stages! 7:30 pm - Us Two - 3rd Wednesday - "Classics, Volume 2"
This year, we are thrilled to announce that Diana, along with director Alfonso López, has created yet ANOTHER sensational hit show, "I Will Always Love You," a musical tribute to Whitney Houston! 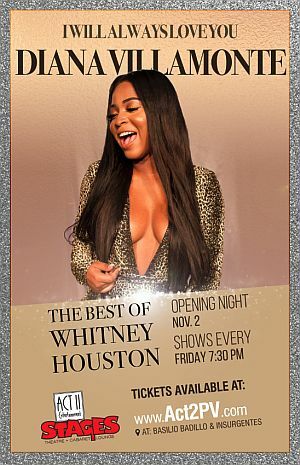 Diana, with her powerhouse voice and infectious personality, is the perfect singer to take on the iconic Whitney (her lifelong inspiration). The highlight of Diana's show last year was when she previewed some of her Whitney Houston songs, often having most audience members in tears. Diana blew the audience away, and her fans begged for a whole show of Whitney's songs! "Nunsense A-Men!" - Final show! Get your tickets now! 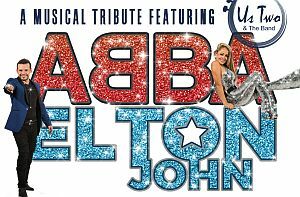 UsTwo presents a musical tribute to the timeless music of two unforgettable acts which began in the 70's, ABBA and Elton John! UsTwo will perform songs that you remember, such as Mama Mia, Dancing Queen, Chiquitita, Sad Song, Candle in the Wind, Rocket Man, and more. Their repertoire changes with each performance, but these amazing vocalists (and their band) will treat you to an unforgettable evening of music! ABBA and its flamboyant costumes and catchy music, is considered to be one of the top musical groups in history, having sold over 500 million albums! Elton John first became famous for his oversize glasses and outrageous outfits, but his enduring popularity and incredible talent have earned him five Grammy awards, induction into the Rock ‘n Roll Hall of Fame, and sales of over 300 million albums! Together, these two acts epitomized the soft rock/pop musical sounds that became hugely popular in the 70's, and is still loved around the world today. "Dueling Drag Divas" - Final show! Get your tickets now! This Week - "Classics, Volume 2"